A hilarious Cork mum has attracted international attention after recreating Beyonce's baby announcement photographs in her own back garden. 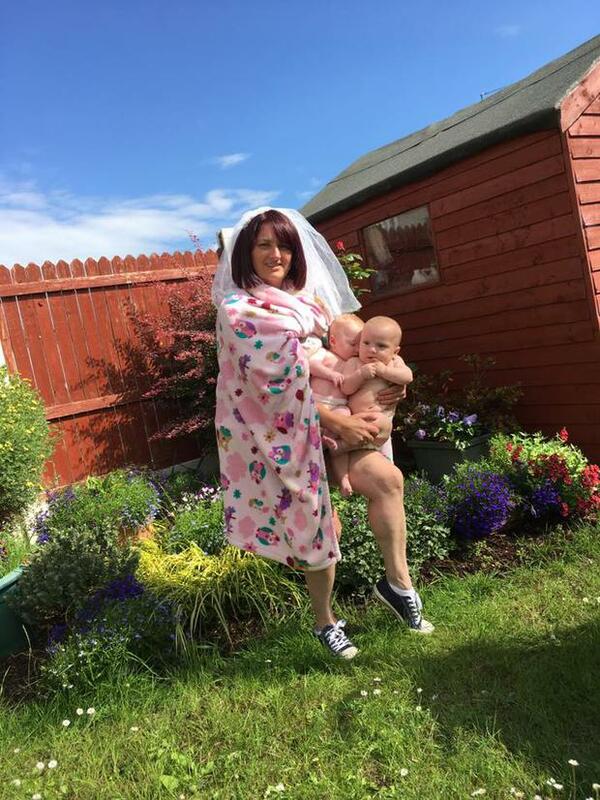 Mum Sharon Kellaway, from Kilworth in Cork, posed with her five-month-old twins Senan and Zoe hours after an image of Beyonce cradling her new arrivals went viral. In the photo an angelic Beyonce balances the newborn twins, Sir Carter and Rumi in her arms, posing in the forefront of an elaborate rose covered wall. Spotting the photos on social media on Friday, mum Sharon said she was amused by how unrealistic the images were in comparison to her own life with twins. Donning a pink fleece blanket and a makeshift veil, the mum and her gorgeous tots took to the garden to imitate the Carters. Speaking to Independent.ie, Sharon said: "I just wanted to take the mickey as she looked so unrealistic. "She will never know what it's like to have twins all day every day. The image was just so unrealistic and photo shopped. It's a far cry from the lovely reality of a real bond with twins," she said. While Beyonce undoubtedly hired a celebrity photographer to snap the first image of Rumi and Sir, Sharon said her six-year-old Megan did just as good of a job taking the images of her family on Friday. Thanks Tina! Has Beyonce’s mum revealed the gender of her daughter’s twins?